Four cities, four cab drivers, four passengers, four stories. That's the sum of a Night on Earth. All stories are quite different, and although some might border on boredom, there is one which makes it all worthwhile: Roberto Benigni gives us a cab driver/stand-up routine which will stick with you for years to come. It is probably his second best performance, right after Life is Beautiful. 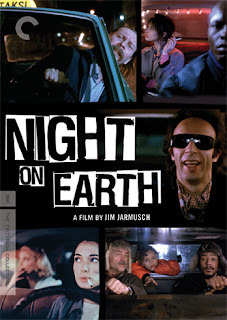 Like all Jarmusch's films, Night on Earth is a movie more about moods, than action, and the dialogue takes second place to what is left unspoken. This is a fantastic film, and well deserving of its rating on IMDB. Begnini steals the show - amazing! 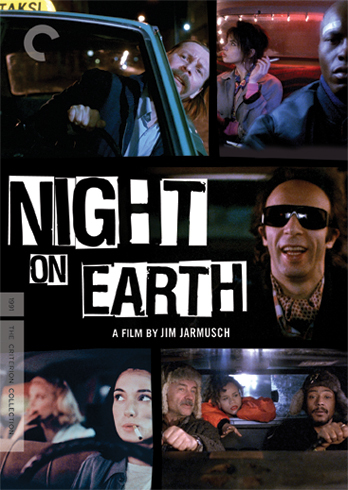 While I agree Jarmusch has made some great films, there are some which I just don't get. Down by Law, Broken Flowers and The Limits of Control were all pretty much non-films in which nobody spoke and nothing happened.